A last minute search came up with an Apple Bourbon Bundt Cake by Melissa Clark published by The New York Times in 2011. 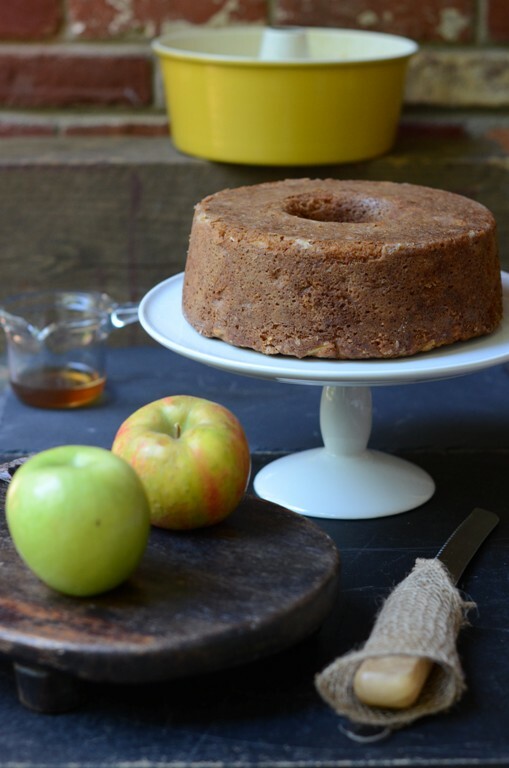 I wished to change things around a tad from my favorite apple cake I bake every year. For 5773 I upped the stakes and went all boozy and I like it! The original cake is more of a spice cake with candied ginger, nutmeg and a hefty dose of cinnamon and vanilla extract. I adjusted it to my sensibilities and it came out great. I think either way it is a spectacular cake and I am so happy I came across this version to change around the Rosh HaShana antics. I did not grate the apples and was tempted to preheat the oven at my comfort zone to 350F. I was worried I wouldn't get that puff effect of the cake rise at 325F, but the batter was different from my apple chiffon cake so I just went on a limb being curious of the results. The cake as you can tell does not suffer from lack of height. I could not resist it and dug into the apple bourbon cake and it is absolutely divine. Wishing all of you a healthy 5773, as I said on social media, all the rest then will fall into place! Love you all and can't wait to kick start the new year with our continued friendship and support. Note for the kosher crowd: Substitute butter with margarine and use soy based yogurt instead of the sour cream. You can also bake the cake as is and have a slice for breakfast or along with your afternoon tea. Heat the oven to 325 degrees. Grease and flour a bundt pan. Dust excess flour off the pan by flipping it up side down and tapping the bottom. In the bowl of an electric mixer fitted with the paddle attachment, beat together the 1 1/2cups sugar and butter on medium-high speed, until light and fluffy, about 5 minutes. Beat in the eggs, 1 at a time, until incorporated. In a separate bowl, whisk together the flour with the baking powder, baking soda, cinnamon and salt. In a separate bowl, whisk together the sour cream and vanilla. Pour in the 2 tablespoons of bourbon and whisk until smooth. Stir in zest. With the mixer on medium speed, add the dry mixture and sour cream mixture to the wet mixture in three additions, alternating between the two. Add a 1/4 cup sugar to apples, mix and fold the apples into the batter. Scrape the batter into the prepared pan. Bake until the cake is golden brown and a skewer inserted into the cake comes out dry, about 1 hour. While the cake cools in the bundt pan make the bourbon syrup. Combine the 1/2 cup granulated sugar and 1/2 cup bourbon in a small saucepan. Over low heat, gently stir until the sugar dissolves. Stir in the lemon juice and take off the heat. While the cake cools, make 15-20 holes on top with a skewer and pour half the bourbon-syrup on the still-warm cake. When the cake is fully cool run a knife around the edges of the pan, flip it and pour the rest of the bourbon syrup on the top side and serve. That cake must taste divine! Wonderful. I know, right?! TY. Me too! What a lovely, lovely cake, Shulie. I especially love the sound of the bourbon syrup! I'll definitely be making this during our apple season. TY Lana. Let me know how it turns out. This is simply perfection! I adore the apples with the bourbon syrup. I bet this tastes incredible. I'll have to bookmark this for sure! Beautiful bundt cake! 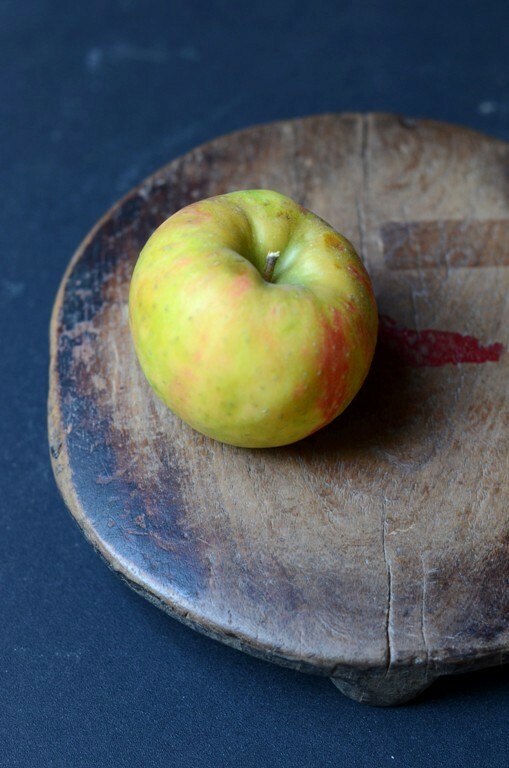 I love the apple and bourbon pairing! Absolutely gorgeous, Shulie! Bourbon and apple is such a wonderful combination. That's a great cake to start off the year. Shana tova! Have a wonderful sweet new year. TY & Shana Tova Sarah! You got such beautiful height on this cake Shulie! 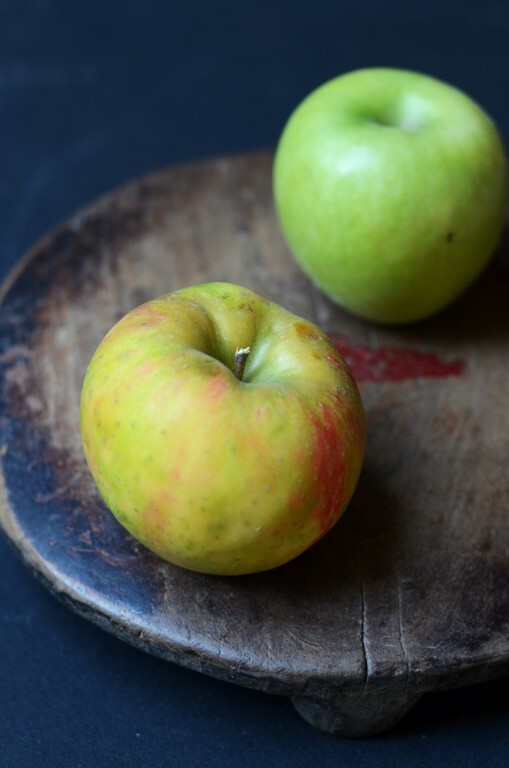 Apples and bourbon are a great combination. L'Shana Tova to you and your family. I know, right?! Considering it is not a fluffy chiffon like. Shana Tova Deb. ahaha not such a simple syrup anymore! Shana Tova! What a gorgeous cake, very timely for this apple season. True. TY. I still want to actually go myself and pick apples this season. Gorgeous! Your photos are gorgeous and I know I would love this! I am just learning to appreciate bourbon in baking. Perfect for the fall harvest of apples in MN! Saving this for "a free weekend." Is it 5773 already? Happy New Year! Ahh! Fall is loose - bourbon and spices with fruit and I am sold. Such a warm and comforting kind of cake! "warm" very articulate description Meeta. Even more so if you follow the original recipe. Mmm Wish I could have a slice! I still have not decided what kind of cake to make for my birthday... I know Jason would LOVE this cake, this may have to be it! Happy New Year to you! TY Kristina. If he likes a banana bread he would love this. Happy bday to your hubs. Gorgeous cake and photos Shulie! Funny, I was eyeballing some bundt pans the other day when I was planning out my daughter's birthday cake. In the end, I went with a sheet cake, but I'm thinking a gluten-free version of this cake is definitely in order soon! I got three different bundt cakes from this simple one to more elaborate. Then mini ones too, on design. :) Would love to see your GF version. Happy bday to your daughter. Shulie, I made an apple cake last week, but regrettably, it had no booze whatsoever. Clearly, I need to make this one this week! It looks absolutely delicious. Wishing you a good Rosh Hashanah! I bet it was still delicious, Liren & TY! What gorgeous cake and clicks, Shulie! happy new year to you too. Just beautiful, Shulie! Thank you for sharing, my friend, and for making my day a bit more happy and delicious. I hope you are having a wonderful week! Aww Monet. You are the sweetest! You too do the same! This cake certainly looks wonderful !! Boozie is always better, Liz. 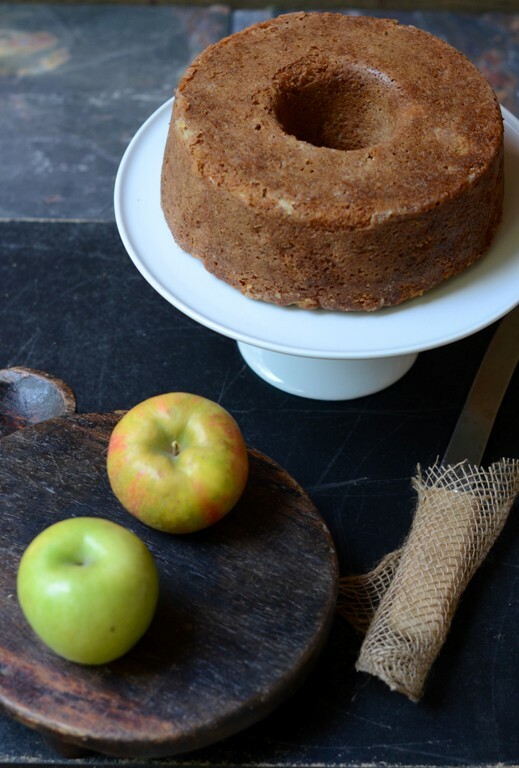 I've actually had a hankering for a rum based apple cake but now that I've seen and almost "smelled" this Apple Bourbon Bundt Cake of yours, I just may need to buy me some Bourbon! Thanks for sharing and a Happy, Healthy New Year to you and yours!!! 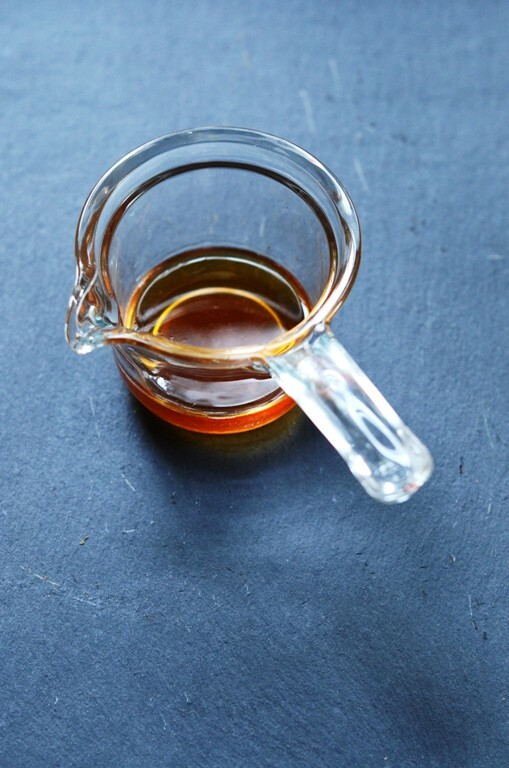 I love the idea of a bourbon syrup. This looks delicious! Ah that bourbon syrup sounds pretty divine with the apples! This is a perfect apple bourbon bundt cake that looks so delicious. This is really great recipe of bundt cakes. I appreciate for the excellent presentation. I love this cakes. Thanks for share.